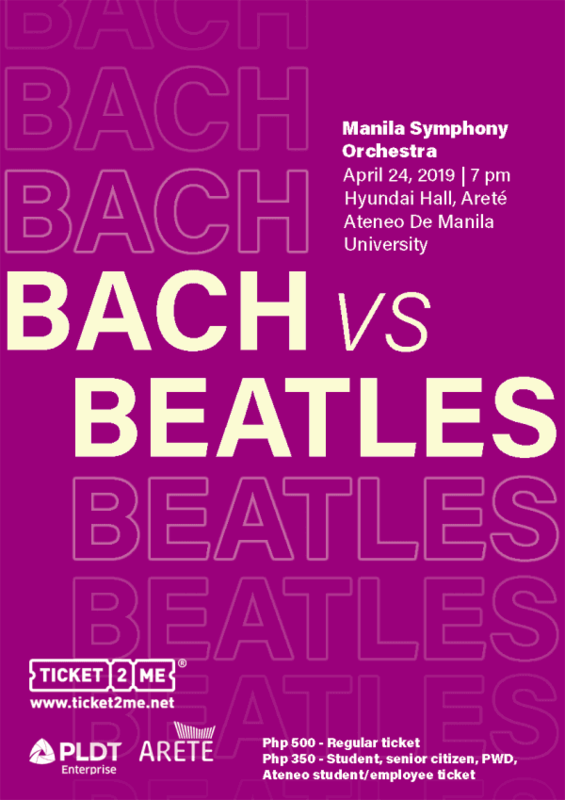 🎻 BUY YOUR TICKETS NOW 🎻 PLDT Enterprise and Areté present Bach Vs Beatles featuring the Manila Symphony Orchestra! April 24, 2019 Wednesday 7:00PM at the Hyundai Hall located in the Soledad V. Pangilinan Arts Wing Buy your tickets on Ticket2Me: https://ticket2me.net/e/1789 Php 500 for regular tickets, and Php 350 discounted for students, senior citizens, PWDs, and Ateneo employees/students. 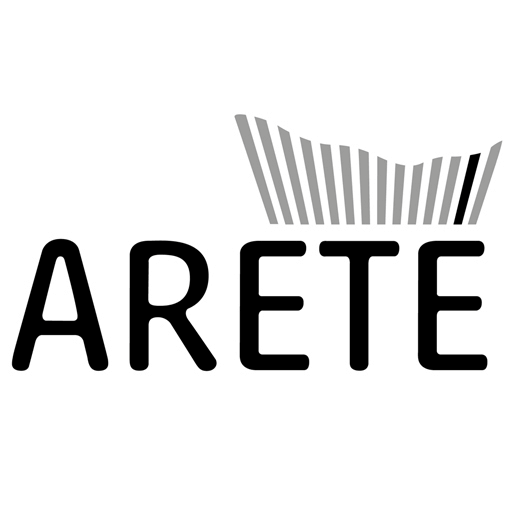 To avail of discounted tickets, kindly bring a valid ID and purchase on-site at the ground floor of the Soledad V. Pangilinan Arts Wing, Areté starting April 22, Monday.